Don't let bad credit keep you from getting the startup business loans you need. 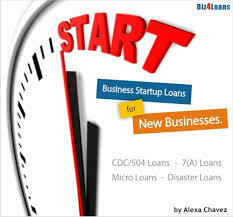 Learn how to get startup business loans approved with bad credit here. Is your bad credit making you stressed? Don't worry. You're not alone. In fact, almost a third of Americans have a credit score lower than 601. Having a credit score that low can cause major problems for people. Many landlords won't let your rent their houses or apartments. In some cases, you can't even get a personal credit card. But what about if you're trying to get a startup business going? Well, it turns out that you can actually get startup business loans approved even if you do have bad credit. How exactly can you do this? What tips or strategies are there for getting these loans? Read on to learn how to get startup business loans approved with bad credit. How Will My Bad Credit Not Be a Problem? Make no mistake: your bad credit will make getting a business loan more difficult. But it won't make it impossible. In order to get startup business loans, you just have to be flexible. You might not be able to get a traditional business loan from a bank. However, there are many other options. So what are the best options for startup business loans for people with bad credit? Here are a few. First, you can try to get an SBA loan. This is an option even if you don't qualify for a traditional bank loan. However, you'll need a detailed application in order to get an SBA loan. Make sure you have a business plan, both your business and personal credit reports and your income tax returns, among other documents. Another option is a microloan. A microloan is a small business loan, typically of $50,000 or less. These microloans come from nonprofit organizations, such as Kiva. Currently, Kiva has 1.6 million lenders helping 2.4 million borrowers in 83 countries throughout the world. The organization has funded over $900 million in loans. One last option for a startup business loan is a revenue-based loan. These loans are typically approved no matter what your credit score is. The one problem with revenue-based loans, though, are the fact that they are based on revenue. Therefore, your young business has to prove that it has had one to two years of consistent cash flow. In many cases, alternative lending options are actually better than traditional bank loans. Many of these alternative lenders do not simply look at your credit score. They consider all of your financial data, which is why it's easier to get approved. These types of loans can range anywhere from $5,000 for short-term loans to up to $600,000 for long-term ones. In some cases, there is more flexibility with alternative lenders when it comes to repaying your loan. You also tend to get the cash much quicker than you would get it from the bank. But with those positives also come some negatives. The main negative is higher interest rates. If none of these loan options seem right for you, a business credit might be the best choice. You're much more likely to get approved for a business credit card than you are a loan from the bank. In fact, 80 percent of business credit card applicants receive approval. Those are good odds. Plus, using a business credit card will help you establish your business credit. This will also help make things easier for you if you need to apply for another business loan in the future. There is one downside for business credit cards for businesses that have bad credit, though. They come with higher rates, potentially as much as 18 percent more. Do you want to help your startup business get going but still aren't fully sure which option is best for you? Reach out and contact us so we can help you compare options and come up with the best plan!